The NBA has enjoyed surge of superstar talent in recent years. Veteran NBA writer Tommy Beer breaks down the league's 25 best players under 25 years old—with some surprising results. The NBA has enjoyed a recent uptick in interest, both in the U.S. and around the world. Under the forward-thinking influence of commissioner Adam Silver, the league's unique embrace of social media and ability to engage its fans—particularly younger ones—has proven a significant boon. Another reason for the league’s rising popularity: A healthy influx of talent resulting in a new breed of NBA superstar. Of the top five MVP vote-getters last season, four were 26 or younger. The average age of their Defensive Player of the Year counterparts? A mere 23 years old. 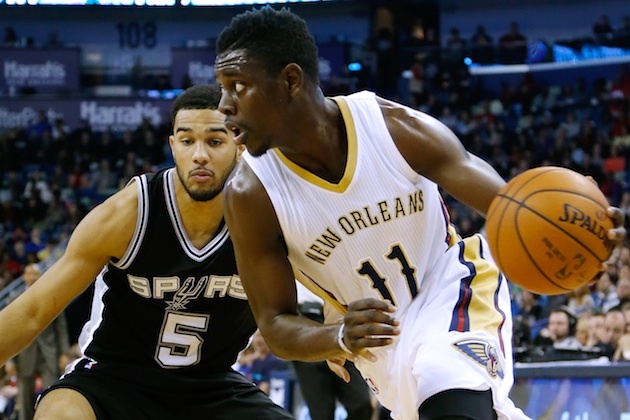 Moreover, each of the top nine finishers in the Most Improved Player category were under 26. Make no mistake: The NBA landscape is changing fast and—considering how young this latest vanguard is—for the better. Here's a ranking of the top 25 NBA players who are 25 years old and under. Both present production and future potential were factored into the evaluation, with all players under age 26 as of opening night (October 27th) being eligible for consideration. Four years into his NBA career, Harris remains a bit of a mystery. 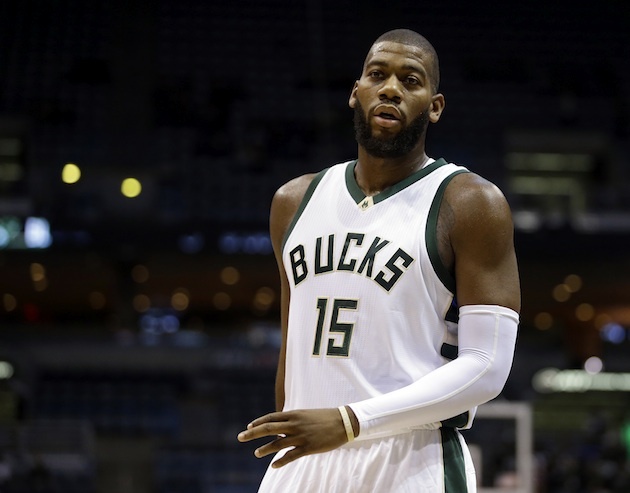 He entered this summer's free agency period on the heels of an impressive 2014–15 season where the burly forward was one of just six players to average at least 17 points, six rebounds, and a steal per game. (The other five: Anthony Davis, Russell Westbrook, LeBron James, DeMarcus Cousins and Carmelo Anthony). Not surprisingly, the Magic decided to commit to him long-term by inking him to a four-year, $64 million contract. Harris has yet to hit his prime, but questions do remain. Will he round out an already impressive offensive repertoire? Will he improve defensively? Can he be a leader? Only time will tell. Towns was flat-out dominant at times during his brief stay at Kentucky—despite a short leash by John Calipari, who intentionally limited the freshman phenom’s minutes and touches. But those flashes of NCAA brilliance were likely just a glimpse of what Towns will bring to the table, if and when he’s finally freed to showcase his complete skill set. For instance, Towns, who knocked down 127 three-pointers during his high school career and shot 51.6% from behind the arc during his senior prep season, will likely be given the green light sooner than later. Noel is the extremely rare defender that possesses the height and leaping ability to challenge seven-footers at the rim, along with the quickness and length to frustrate guards out on the perimeter. His offensive game is still a work in progress, but the Sixers knew he was raw when they drafted him coming off an ACL tear. Surprisingly, his defensive acumen has exceeded even the boldest of expectations, with opponents averaging nearly five fewer points per 100 possessions when Noel was on the floor for Philadelphia, which finished surprisingly close to the league's top 10 in defensive efficiency. Holiday made his first All-Star team at 23 in 2013. In the two seasons since, the 6’3” point guard has actually been more efficient… when he’s on the floor. Since the start of the 2013–14 campaign, Holiday has missed a total of 90 games due to a series of leg injuries, and as a result, the Pelicans have announced they will limit him to 15 minutes a night to start this season. With a combination of size and quickness, Holiday is a tough defender, capable of limiting penetration and forcing turnovers. Offensively, opponents should have a devil of a time defending Holiday and Anthony Davis pick-and-rolls. So long as he remains on the floor, Holiday’s trajectory—one of the league’s best young floor generals looking to take the next step—should continue apace. In league where classic, back-to-the-basket big men have become all but extinct, Valanciunas is a throwback. He can score on the block via a number of reliable post moves, and has emerged as one of the strongest big men in the game. To his credit, Valanciunas rarely strays too far from his comfort zone: Last season, 88.5% of his field goal attempts came from within 10 feet of the basket. He’s also able to create offense by adroitly diving to the basket off pick-and-rolls. However, Valanciunas does need to improve on the other end of the floor. At numerous points last season, he was left on the bench late in close games because of his inability to defend smaller, quicker opponents. Despite these concerns, the Raptors handed Valanciunas a $64 million extension this summer, with the expectation being that the 23-year-old will eventually be able to round out his game. Middleton has flown under the radar of many casual basketball fans, but those attuned to advanced stats are keenly aware of just how good and valuable a player the Bucks’ young wing has become. Last season, Middleton finished the year ranked ninth—directly behind Russell Westbrook and Kawhi Leonard—in WAR (Wins Above Replacement) and 10th in Real Plus-Minus, just a notch below Draymond Green and DeMarcus Cousins. Based strictly on traditional box score numbers, Vucevic—who averaged 19 points and 10 boards last season and finished the year with more double-doubles than Anthony Davis—should be higher on this list. However, a deeper dig into metric minutia paints a not-so-pretty picture. The Magic were actually better defensively when Vucevic wasn’t on floor, allowing 1.1 fewer points per 100 possessions. Per NBA.com, opponents shot 53.7% at the rim when Vucevic was there to defend it, a mark that ranked 61st among 72 players who defended at least five shots at the rim per game in at least 40 games. New coach Scott Skiles—renowned for his defensive acumen—will be tasked with improving Vucevic’s two-way impact. Another throwback big, Monroe has flashed glimpses of elite talent and All-Star upside early on in his career. As a 21-year-old, he averaged 15.4 points (on 52.1% shooting), 9.7 rebounds, and 0.7 blocks per game in his second pro season. Unfortunately, Monroe’s production has largely plateaued, with his FG% ending below 50% three straight years, and both his steal and block percentages decreased in each of the past three seasons as he shared a frontcourt uncomfortably with Andre Drummond. With Monroe now in Milwaukee, it will be interesting to see if he develops into the player many projected he’d become. Even in a league teeming with otherworldly athletes, the “Greek Freak” stands out as a singular specimen. And with teams placing an increasing emphasis on positional versatility, Antetokoumpo is a coach’s dream. His improved handle, along with impressive court vision and exemplary unselfishness, makes him a near-impossible cover when running the offense. On the defensive end, Antetokoumpo can guard nearly any player on the floor, owing to an insane combination of wingspan (7’3”) and remarkable athleticism. After connecting on just seven of 44 three-point attempts a season ago, Antetokoumpo made his jumper his primary offensive focus this offseason. Given his well-earned reputation as a tireless worker, it wouldn’t surprise anyone if Antetokoumpo shows marked improvement in this area soon. Although not as polished an offensive player as teammate Gordon Hayward, or as defensively disruptive as Rudy Gobert, Favors finds ways to reliably contribute on both ends of the floor. He’s improved each year he’s been in the league, and in 2014–15, Favors finished the year ranked 14th in Player Efficiency Rating (PER), just ahead of Marc Gasol and one spot behind Kawhi Leonard. Despite Wiggins’s undeniable talent, it was assumed it would take a while before his game blossomed on the NBA level. It appears that might be happening sooner than expected. Following the 2015 All-Star break, Wiggins served immediate, intimidating notice, averaging 20 points and just a smidge under five rebounds in 29 post-ASG appearances. That’s rarefied air for a 19-year-old. And while Wiggins’s defense and shooting consistence remain works in progress, the sky’s the limit for 2014’s No. 1 overall pick. Many young players shy from the spotlight during their early playoff basketball forays, but Beal was a sterling exception to that rule, registering 23.4 points, 5.5 rebounds, and 4.6 assists per game in 10 playoff contests last season. Combining his playoff work in 2013 and ‘14, Beal scored 20 points or more on 11 occasions before the age of 22. That ranks fourth behind Kobe Bryant (18), Tony Parker (14) and LeBron James (13). Per NBA.com, Beal also has posted the fifth-highest scoring average (23.4 ppg) in NBA playoff history for players under 22, joining James, Tracy McGrady, Kevin Durant and Derrick Rose. Was last spring’s postseason breakout performance a sign of things to come for the Wizards’ versatile sharpshooter? At this time last year, Gobert wouldn’t even have been in consideration for this list. Now, he’s No. 13 with a bullet. Selected with the 27th overall pick in the 2013 draft, Gobert was considered a project, and played sparingly as a rookie. But after increased opportunities at the start of last season, Gobert was fully unleashed after the Jazz traded Enes Kanter. In 37 starts, the native Frenchman averaged 10.6 points, 12.4 rebounds, and 2.8 blocks, establishing himself as one of the league’s elite rim-protectors in the process. Opponents converted a measly 40.4% of their field goals at the rim against Gobert, per NBA.com. One of the surefire marks of a great young player is steady, incremental improvement—exactly what Haywood has demonstrated throughout his NBA career. 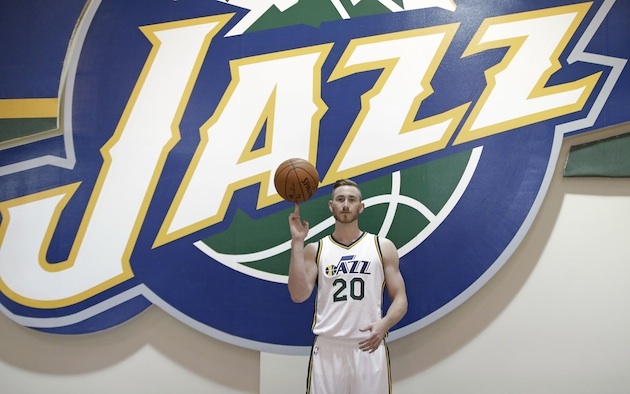 In fact, after averaging a career-high 19.3 points last season, Hayward became just the third player in NBA history to increase his season scoring average by at least two points per game in four consecutive seasons (Kobe Bryant, Gary Payton). Thanks to his stat-stuffing skill set and physical prowess (despite being just 6’1”), Bledsoe was tagged “Mini LeBron” early on in his career. Since landing in Phoenix two years ago, the muscle-bound combo guard has had ample opportunity to showcase his talents, but it’s Bledsoe’s ability to contribute across the board, not just his explosive athleticism, that’s helped separate him from his peers. Indeed, Bledsoe was one of just four players (and the youngest of the four) to average at least 17 points, six dimes, and five boards a season ago. Drummond is an absolute beast on the boards, inhaling rebounds at a prolific—and historic—rate. In fact, last season he became just the third player in NBA history to average 13 or more rebounds per game before turning 22 years old (Shaquille O’Neal and Moses Malone are the other two). Drummond is particularly efficient on the offensive glass, having led the NBA in offensive rebounds in each of the last two seasons while becoming the first player to pull down more than five offensive boards per contest since Dennis Rodman in 1995–96. Drummond also chipped in 13 points and nearly two blocks per game, contributing to an overall PER of 21.4. Per BasketballReference.com, Drummond and Anthony Davis are the only players in league history to enter the league as teenagers and post a PER of at least 21.0 in each of their first three professional seasons. Often overshadowed by MVP Steph Curry, Thompson emerged this past season as a legitimate star in his own right. Thompson finished third in the NBA in plus-minus (+10.1), tied for ninth in the league in scoring, fourth in three-point percentage (43.9%), and fourth in Net Rating (15.8). Thompson’s dead-eye shooting (59.1% true-shooting percentage) remains his on-court calling card, but his exceptional defense was just as important to Golden State’s historical championship run last season. Drafted out of little-known Weber State in 2012, Lillard had more than his share of skeptics coming into the NBA. During the ensuing three seasons, however, Dame has squashed any doubts as to his franchise-cornerstone viability. Recognizing this fact, the Blazers rewarded their floor general with a whopping five-year, $120 million extension. There’s just one small problem: Lillard’s once-stellar supporting cast has been reduced to rubble. After winning 50 or more games in each of the last two seasons, the Trail Blazers—for whom quality depth remain a very real issue—could struggle to win half that in a stacked Western Conference. Not surprisingly, Portland’s floor general stands to shoulder an incredible burden. Last year, Lillard—who has played all 82 games in each of his three seasons as a pro—was the only player in the NBA under the age of 25 to average at least 20 points, six assists, and four rebounds. This season, Lillard will receive constant double-teaming to prevent his preferred penetration, likely forcing him into contested jumpers. In addition, he’ll often be asked to defend the opposing team’s top guard. 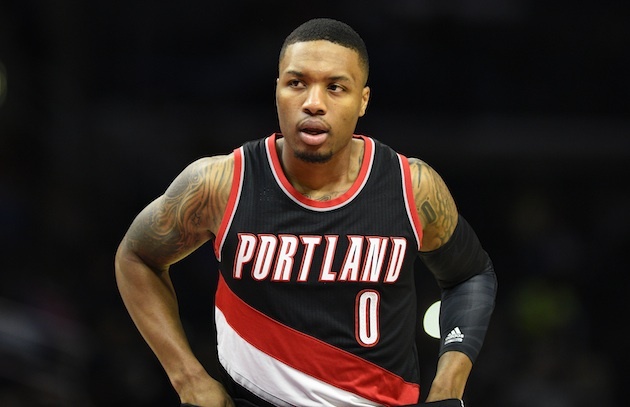 If Lillard can somehow survive and thrive in 2015–16, his stock will only surge. Back in the summer of 2013, following a dominant regular season and an even more impressive postseason, George appeared to be on the cusp of establishing himself as a perennial MVP candidate and one of the NBA's truly great two-way superstars. As we know, those plans were derailed by a gruesome leg injury, costing him all but six games of the 2014–15 campaign. Possessing a rare combination of size and skill that allows him to excel on both ends of the floor, George will look to shake off the last flecks of rust and prove his injury woes are officially behind him. Per head coach Frank Vogel, the plan in Indiana is to have George play primarily at power forward this year. It will be interesting to see how he adjusts to a new position, and if his body can withstand the rigors of a full season. Few NBA players tout the kind of across-the-board talent of Green. To wit: Golden State’s jack-of-all-trades forward finished second in the NBA in plus-minus, third in the NBA in Net Rating, and tied for fourth in Defensive Rating a season ago. He also became the first player in Warriors history to average at least one block, one steal, and one three-pointer per game. In fact, he was just a single block shy of being just the second player in NBA history to tally at least 120 steals, 110 three-pointers, and 100 blocks in one season. Still, numbers don’t always tell the whole story, and Green is a perfect example of that phenomena. Some of his greatest strengths are the intangibles he brings to the floor each and every night, typified by a fierce competitiveness and unselfishness that helped propel the Warriors to the best record in the West and an NBA championship. He is the type of young, hungry, defensive-minded, versatile, aggressive player that all GMs covet. Based on pure talent and ultimate upside, Irving could be ranked higher. Unfortunately, injuries are—and must be—factored into the mix. 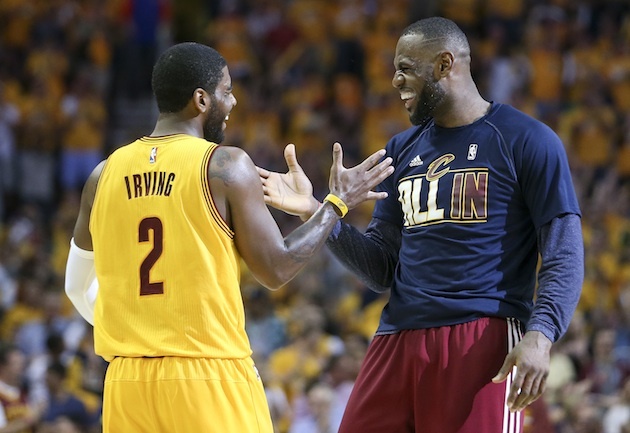 When fully healthy, Irving is as exciting a player to watch as any in the NBA. He is a virtuoso on the offensive end, and boasts arguably the best handle in the league. When locked in, he is nearly unstoppable, as evidenced by his scoring 55-plus points on two separate occasions last season (the two highest-scoring games of the season). He is just the third player with multiple 50-point games before turning 23 years old, joining LeBron James and Rick Barry. The most recent injury obstacle Irving will have to overcome is a knee injury that will keep him sidelined to start the 2015–16 season. Through 345 career games, John Wall holds career averages of 17.6 points, 8.7 assists and 4.4 rebounds per game. Per NBA.com, only three other players in league history have matched those totals through their first 345 games: Oscar Robertson, Magic Johnson and Chris Paul. For what it’s worth, Wall also is a curiously underrated defender, finishing in the top 12 in Defensive Win Shares last season. Additionally, his on-off splits (the Wiz allowed 6.9 more points per 100 possessions when he went to the bench) only reinforce how valuable he is to his team on both ends of the floor. If Wall can improve his accuracy to become even an average three-point shooter, he’ll be an All-NBA selection on an annual basis. His reputation may be clouded by his on-court demeanor and transgressions, but if we’re focusing on talent alone, there are very few people on the planet that can do what Cousins does. Last season, Cousins averaged more points per game than Steph Curry, more rebounds than Dwight Howard, more assists than Patrick Beverley, more steals than Kyrie Irving, and more blocks than Andrew Bogut. That’s ridiculous. If he can just cut down on the technicals, stay healthy, and manage to co-exist with head coach George Karl, Cousins’s prolific production should climb even higher. Here is the complete list of all NBA players who’ve won both an NBA Finals MVP award and the Defensive Player of the Year award at some point in their careers: Michael Jordan, Hakeem Olajuwon and Kawhi Leonard. That’s it. Leonard’s already-impressive offensive arsenal continues to rapidly improve, but it’s his lockdown defense that remains the calling card. Leonard led the NBA in Defensive Rating last season, on the way to taking home what is surely the first of many DPOY awards. There were some admittedly difficult decisions to be made in creating this list. The choice for No. 1, however, was an absolute no-brainer. In the aforementioned survey of NBA GMs, one of the questions was, “If you were starting a franchise today and could sign any player in the NBA, who would it be?” An overwhelming majority (86.2%) of the respondents chose Davis. Durant and LeBron finished tied for second, each with just 6.9% of the vote. Davis’s daily stat lines read like science fiction, making for an endless number of mind-boggling metrics one could use to highlight his greatness. For brevity’s sake, we’ll focus on this one in particular: In 2014–15, Davis shot 53.5% from the floor and knocked down over 80% of his free throw attempts—a remarkably high clip for a big man. He also averaged 2.2 assists per contest, putting Davis into even more elite company. How elite? The last NBA player to shoot at least 53% from the field and 80% from the charity stripe, in addition to dishing out at least two assists per game was Steve Nash in 2011–2012. The fear is real, folks.